These indicating instruments accept a wide variety of input signals: Process (mA, V), Temperature (Pt100 probe, J, K, T thermocouples), or Load cells (mV / V, mV). Universal AC / DC power supply for a wide range of voltages, in addition to supplying the excitation to the sensor element. They are configurable by means of the frontal keyboard, and they have registry of maximum and minimum, as well as reset. 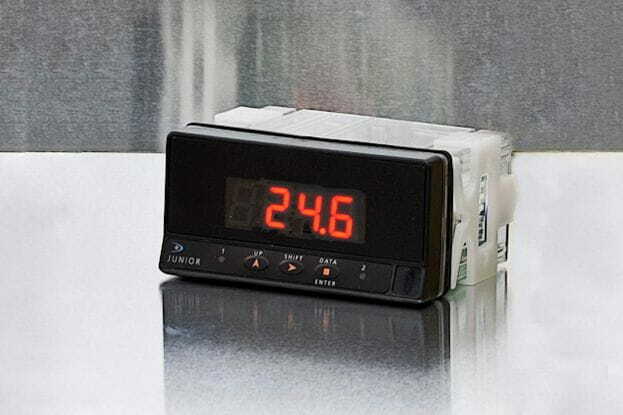 Depending on the version, they can incorporate two or four relays (alarm signals), communication output RS232C or RS485, serial communication protocol. 4-20 mA or 0-10V isolated output signals, etc.